“Creating the North Highland Way” – an account of how a group of businessmen attempted to make the north coast of Scotland into a national trail. Available on Lulu. “Corners of Caithness – Dunnet” is a compilation of materials contributed by Scottish Natural Heritage, Headland Archaeology, Michael Draper of House of the Northern Gate and Aberdeen University. There is reference to the Dunnet Head Educational Trust (2003 to 2015) which compiled the book. The Trust was involved in many projects in the far north with a view to bringing tourists to the most northerly point of the UK mainland. Caledonian Iberian Conexions SL was the sponsor of the book. Cost £4.50 + £1.00 from Paypal. Alternatively you can contact us for other ways to pay. The Trust also contributed to other books. 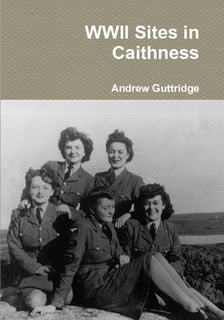 Also, WWII Sites in Caithness written by a local historian and edited by the Trust. Both books are available on Lulu.